Item # 293902 Stash Points: 5,499 (?) This is the number of points you get in The Zumiez Stash for purchasing this item. Stash points are redeemable for exclusive rewards only available to Zumiez Stash members. To redeem your points check out the rewards catalog on thestash.zumiez.com. 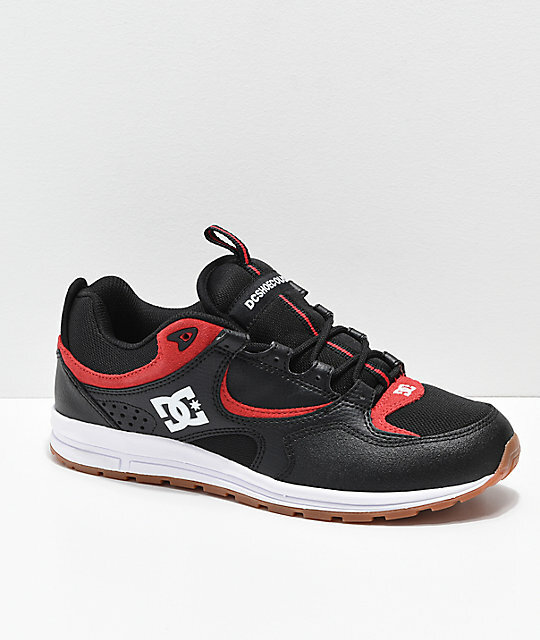 A subtle nod to the brand's rich heritage and updated with a modern touch from the legend himself, Josh Kalis alongside DC Footwear present the Kalis Lite Shoes. 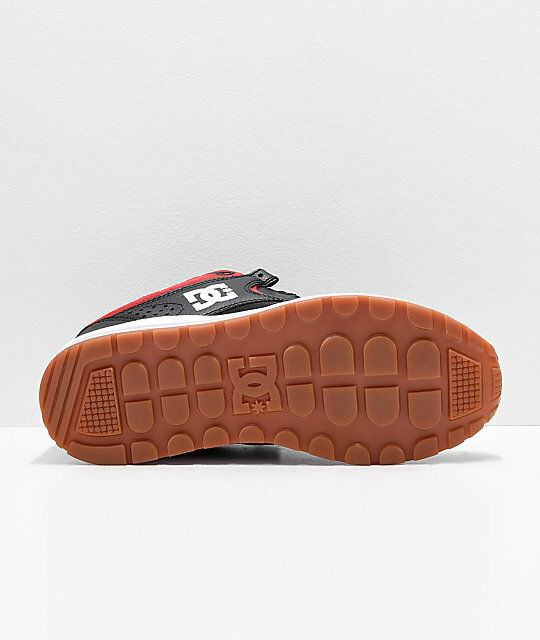 Littered with hints and features from Josh's iconic "JK1" pro model skate shoe released in 1998, the Kalis Lites act as the perfect go-to sneaker when off the board enhanced with a runner inspired sole for remarkable pre/post skate session comfort. 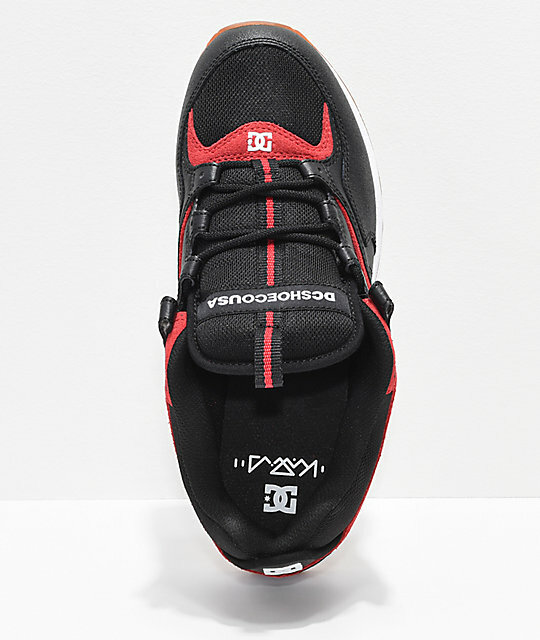 Kalis Lite Black, Red and White Shoes from DC. Signature Josh Kalis pro model. 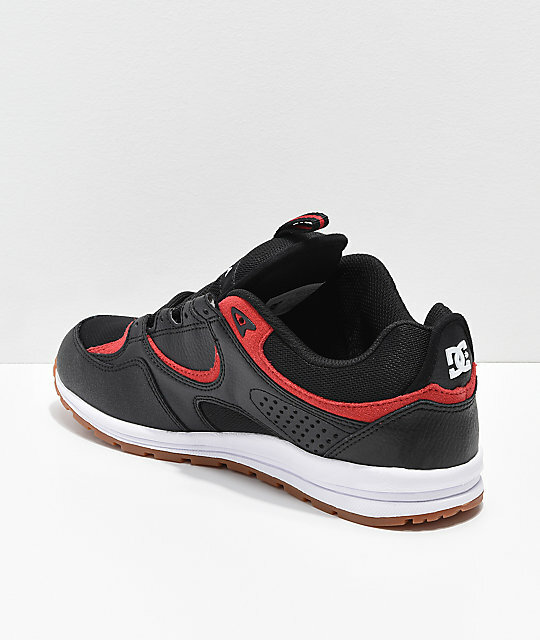 Combination suede, leather and mesh throughout upper. Runner inspired cupsole construction with lightweight EVA tooling. DC Pill deep tread pattern for grip. Interior elastic gussets for snug fit.